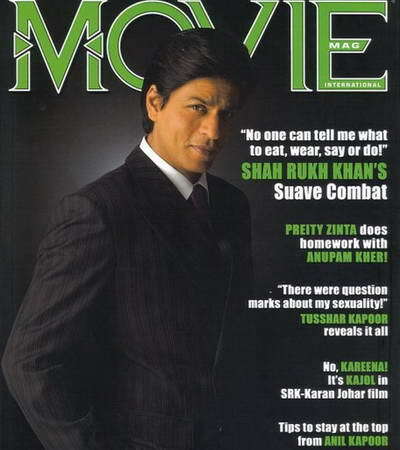 “No One can tell me What to eat, wear, say or do!”, sauve King Khan Shahrukh gets combative on Movie Mag’s latest issue. Unlike his recent look of being sporty (courtesy IPL) Shahrukh is seen dressed like a gentleman with perfect tie and suit combo. SRK talks about his journey from DDLJ to Chakde, his innings on television to comparison with Amitabh Bachchan. Grab the mag for full chit chat with king khan, here is upclose teaser look for you.